See you at ITB 2017! It’s hard to believe it’s almost ITB time again already, but we’re very excited to see so many of you in Berlin next month. 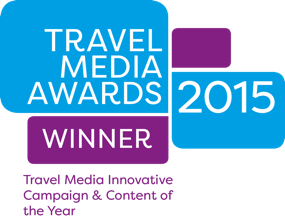 As well as having a stand, we’ll be hosting some great events as well as presentations that will update you on the latest trends and news about online and influencer marketing in the travel industry. See you at Stand 136 in Hall 6.1! As always, we’ll have a stand in the eTravel World in Hall 6.1. Our stand number is 136 and we invite you all to pop by to say hello and to share what’s new with you. The stand is intended to be a space for travel bloggers and marketing/PR executives to meet, or to relax and have a cup of coffee. We are thrilled to have Emilia Romagna Tourism as the supporter of our stand this year! We’re sharing the stand with our long-running partner TravelDudes, and their team has actually written up a useful guide to ITB which is a must-read for anybody new to ITB, or anyone who wants to know which events and sessions they shouldn’t miss, like the ITB Speed Networking. Our stand is located right in the heart of the eTravel World (Hall 6.1)! In addition to being a networking spot, the stand will be utilised to promote the Blogville Network, an exciting project to nurture cross-border collaborations among tourism boards. With the Blogville Network, iambassador takes its relationship with Emilia Romagna Tourism to the next level after working together on the successful BlogVille campaign (this year marks the 6th edition). This relationship has created new models for collaborations between digital influencers and DMOs, for instance, co-branded content such as eBooks and informational websites (such as the new MotorValley website), and the EuroFoodTrip project, a collaboration between Emilia Romagna Tourism and Costa Brava Tourism. The Blogville Network aims to work on new concepts and tourism products at a cross-border level by encouraging ‘co-opetition‘ rather than ‘competition’ among tourism destinations. DMOs are invited to drop by the stand for more information about the Blogville Network. On Thursday, 9th March, the Nordic Bloggers Experience will host a drinks reception at our stand between 15:00 – 16:30 for all travel influencers attending ITB. The NBE reception at the iambassador/Traveldudes stand at ITB in 2016. 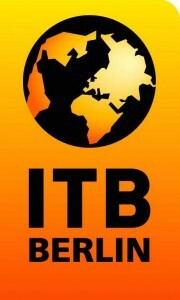 We’ll be hosting a presentation at ITB in partnership with TravelDudes. The first is on Thursday and is titled “The Era of Collaboration – Why Cross Border DMO Partnerships Make Sense”. A close examination of the successes of our #EuroFoodTrip and #CulturalRoutes collaborative campaigns, in this presentation and Q&A session we will be sharing the multi-faceted benefits of cross-country collaboration between DMOs. Melvin Boecher and Kash Bhattacharya explaining the iambassador 4-step buzz-creation model in front of a packed crowd at ITB 2015. Place: eTravel stage in Hall 6.1. We’re really looking forward to sharing our experience in this talk, as well as highlighting some future trends and innovations in the industry. Make a note of this talk in your ITB schedule. We’d love to see you there! Look out for the Kyrgyz yurt in Hall 3.1! Last but not least, come to our ITB Tweet-up! ITB isn’t ITB without the iambassador/Traveldudes ITB Tweet-up and we’ll be hosting it on Wednesday, 8th March at Muse. We’ll once again have great networking opportunities, fabulous food and drinks, and exciting prizes to be won! There are a limited number of tickets available so be quick to sign up via the button below to get your place. 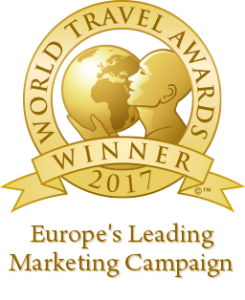 A BIG THANK YOU goes to our supporters: Austrian National Tourist Office, Emilia Romagna Tourism, Via Emilia, Tyrol Tourism, San Marino Tourism, Blogville and Cape Town & Western Cape – marketed by Wesgro. For the latest news from iambassador, please sign up for our newsletter.